Emmy Award nominee Evelyn Rudie (“Eloise”) directs a cast that stars Andrea McArdle and Kip Gilman. Opening Night is set for December 9th. Two strangers, a psychologist (Andrea McArdle) and an unemployed ad man (Kip Gilman) find themselves alone on a San Francisco commuter train at 4 a.m., each doing their New York Times crossword puzzles. But before their crosswords are solved, they find that they may have solved the puzzles of their own lives. Kip Gilman was recently acclaimed for his performances as Oscar Madison in the LA production of The Odd Couple as well as his starring turn in the long running hit Aspirins & Elephants. Lead roles in World Premieres include Catskill Sonata and Adam Baum and the Jew Movie, both directed by Paul Mazursky as well as American premieres Mutually Assured Destruction, Michael Weller’s What the Night Is For, and the Mark Taper Forum’s production of Stuff Happens by David Hare for which he received an Ovation award nomination. Mr. Gilman will soon be seen starring in the up-coming films Outlaws Don’t Get Funerals, the psychological thriller Painless and as a wacky scientist in the madcap comedy Big Baby. Also featured with Nick Nolte in the Taylor Hackford film Parker and Atlas Shrugged Part 2 with Samantha Mathis. Mr Gilman is familiar to television audiences as a series regular on “Studio 5B” with Jeffrey Tambor, “Nurses,” “Closeup News,” “Foot In The Door,” “Dorothy,” “Trapper John M.D.” and “Loves Me, Loves Me Not” with Susan Dey. Most recent guest appearances: “CSI Miami” and “Bones.” As a director and writer, Mr. Gilman has collaborated at the Los Angeles Theater Center, Ivy Sub Station and Highways performing his irreverent one-man musicals Men Women and Assassins and Mister Moody: 82 Minutes With Christ. He is presently in pre-production on the feature film Perfect Match for which he is writer-producer as well as one of its stars. His recent compilations of music, “No Miracles” and “Primitive Man” will be released later this year. Evelyn Rudie began her career at age 3 and received an Emmy nomination at 5 for her portrayal of “Eloise” on TV’s “Playhouse 90” (the first time a child actress was so honored); she went on to star in more than 70 motion pictures and television shows (“the greatest child tragedienne of our time,” London Daily Express), and is the proud recipient of a star in Hollywood’s Walk of Fame. “Arguably the most talented and prolific producer-director-lyricist-composer-musician-actress in theatre” (LA Times), with her partner/husband Chris DeCarlo Ms. Rudie has been involved with more than 600 productions, including 400 World, American and West Coast premieres and 50 international tours, including seven of Jerry Mayer’s eight plays. Chris and she became Co-Artistic Directors of Santa Monica Playhouse in 1973 (where they met). She has received commendations from the City of Santa Monica, the City and County of Los Angeles, and the California State Senate, for completing 50 years of uninterrupted participation in theatre, film, television and arts education, a record that continues today. As director/playwright, career highlights include Dear Gabby, the Confessions of An Over-Achiever, the longest-running teen dramedy in LA history – 15 years in its initial run; the Shakespeare-inspired Love In Bloom – Critics’ Pick of the Year, American Press Network, the East Meets West Three-Continent International Theatre Festival; and Author! Author! – An evening with Sholom Aleichem. She also teaches, directs and lectures worldwide. Performances for “2 Across” will be Wednesday at 2 pm beginning January 20, 2016, Saturday evenings at 8pm and Sunday matinees at 2PM. The show runs 90 minutes without an intermission. “SANTASIA , A Holiday Comedy” 2015 !! CHRISTMAS of 2016 was an uproarious success! UPDATE- Santasia will return to St. Lukes Theatre December 2018!! 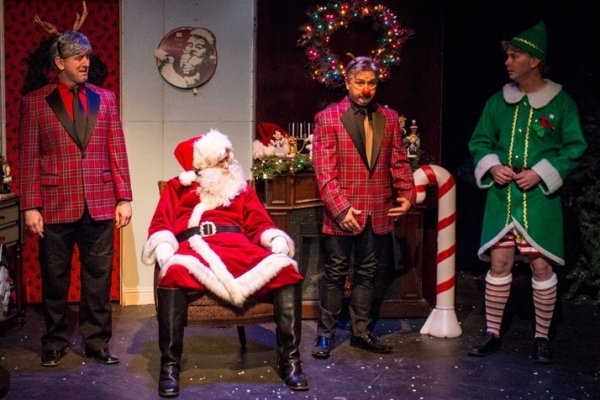 (New York, NY) – SANTASIA, L.A.’s hilarious holiday musical sketch comedy show that embraces and skewers all the iconic moments of the Christmas season will begin a limited engagement run in NYC at St. Luke’s Theatre, 308 West 46th Street in Manhattan beginning on Tuesday, November 17th. The official opening will be on Tuesday, December 1st and continue through December 23rd. Created by brothers Shaun and Brandon Loeser and directed by Tania Pearson-Loeser, the critically acclaimed seasonal sensation has run for over 13 years in Los Angeles and is jam packed with a biting blend of yuletide snark and sentiment. SANTASIA’s relentless assault on your holiday funny-bone will have you hurting from laughter. Stocking stuffed with everything from dysfunctional family sketches to charm, wit, love and beautiful sentiment, it conjures up memories of your own Christmas past. The hysterical holiday classic has been compared to the “Carol Burnett Show”, “Kids in the Hall”, “In Living Color”, and “Saturday Night Live”. Santasia is appropriate for children ages 13 and over due to strong language. Children under the age of 4 are not permitted in the theatre. Dynamic choreography, on-point holiday parody, side splitting sketch comedy, and classic Rankin and Bass inspired Claymation movies, this multi-media Santasia is the fresh face of Vaudeville Comedy. Shaun Loeser (Co-Writer, Director & Producer) is originally from Chicago, having trained with legendary improv guru Del Close at iO Chicago. He is both a professional actor and stuntman having appeared in American Horror Story: Hotel, The Amazing Spider-Man, Conan, True Blood, The Tonight Show, NCIS LA, Pair of Kings, GCB, Step Brothers, iCarly, My Name is Earl, The Sarah Silverman Program, The Comebacks, Numbers, General Hospital, Kambakkht Ishq, among other Television series and films. Brandon Loeser (Co-Writer & Producer) is a Chicago native who studied at iO Chicago under the direction of famed improv teacher Del Close. In addition to acting, he is also a stuntman and comedian. Brandon has appeared numerous times on Grimm, Superstore, Conan, True Blood, Justified, Children’s Hospital, Supah Ninjas, The Dark Knight, The Tonight Show, Chasing 3000, Changeling, General Hospital and Disaster Movie. Tania L Pearson-Loeser (Co-Writer, Associate Producer & Choreographer) is a professional choreographer, actor and stuntwoman. She has choreographed for Conan O’Brien’s “Not Permitted to Perform on Television National Tour,” “Conan” and the “The Tonight Show” and has appeared in in the television series Chuck, Alice in Wonderland, Criminal Minds, Without A Trace, True Jackson VP, Pushing Daisies, Brothers and Sisters, Late Night With Conan O’Brien, General Hospital and Days of Our Lives. The cast of SANTASIA features Brandon Loeser, Shaun Loeser, James Elden, Lon Gowan, Chey Kennedy, Richard Lee Warren. SANTASIA’s set designer is Rich Warren, lighting designer is Wynn Zucchero, sound designer is Brandon Loeser and the musical director is Stacey Quinealty. Performances are on Tuesdays at 8PM and Wednesdays at 2PM. Yonanda Productions & Piccolo Productions, in association with Wendy Taucher Dance Opera Theater, present KICK, a darkly comic solo play written and performed by Joanna Rush. Directed by Tony Award nominee Lynne Taylor-Corbett, KICK opens at St. Luke’s Theatre, 308 West 46th Street, NYC on Sunday, October 25th at 7 PM for an open-ended engagement. 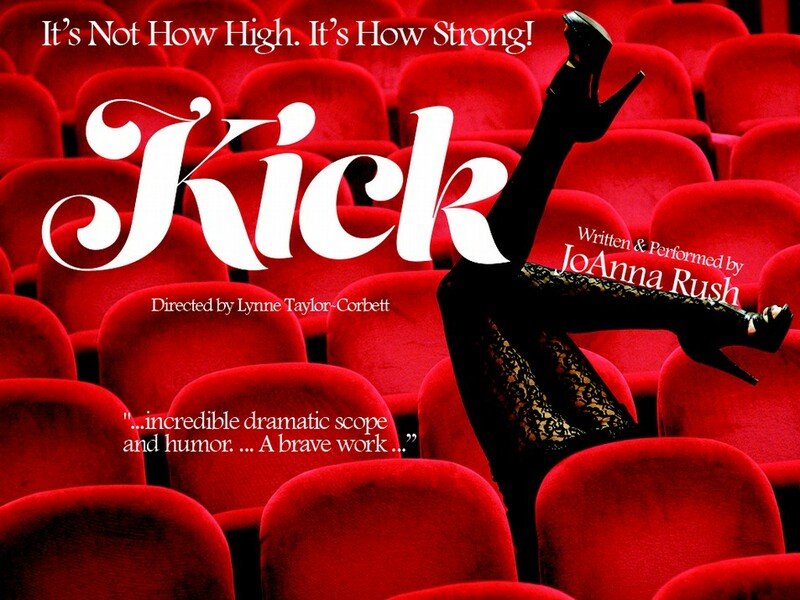 (October 2nd, 2015: New York, NY) Yonanda Productions & Piccolo Productions, in association with Wendy Taucher Dance Opera Theater, present KICK, a darkly comic solo play written and performed by Joanna Rush. Directed by Tony Award nominee Lynne Taylor-Corbett, KICK opens at St. Luke’s Theatre, 308 West 46th Street, NYC on Sunday, October 25th at 7 PM for an open-ended engagement. On her way to her first big New York audition, dancer Bernie O’Connell is tricked into a car and attacked in a vacant lot off the Brooklyn Queens Expressway. KICK follows Bernie from a kickline to A Chorus Line to Hollywood and back as she picks up the pieces and finds the glue to put herself back together. 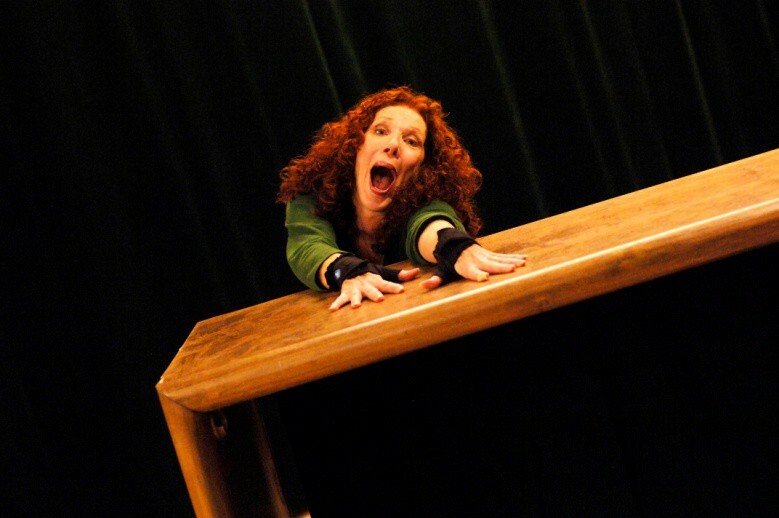 KICK, originally called Asking For It, won rave reviews and four stars from Time Out when it was presented at the 2007 New York International Fringe Festival. It has played the David Rubenstein Atrium at Lincoln Center and was developed at the NY Society for Ethical Culture, The Kirk Theater on Theater Row, Stocker Arts Center in Ohio, Peter Jay Sharp Theater at Playwrights Horizons, Becket Arts Center, The YardArts Festival, Martha’s Vineyard, Gloucester Stage, Newburyport Actors Studio, and the All For One Festival at the Cherry Lane. Sections of KICK were chosen by the U.N. Council for the Empowerment of Women and The Hunger Project to be performed at the International Women’s Day (NYC) in March 2008. Prior to the off-Broadway engagement, KICK was performed at Case Western Reserve University and Cleveland State, as well as the University of Massachusetts, Lowell. In addition to KICK, Joanna Rush’s other theatre playwriting credits include Home Sweet Homeland, (Lynne Taylor- Corbett, director) which was work-shopped at Stocker Arts Center, Ohio, Best New Play Series readings at Gloucester Stage. Her screenplays include Irish Whiskey (co-author, “Best Screenplay” winner at the Temecula Valley Film Festival,) Mothers Day, a historical drama. Joanna’s Broadway acting credits include Pousse Café, Shirley MacLaine at the Palace. A Chorus Line (Shubert Theater, Los Angeles.) Off-Broadway she has appeared in Daughters, Inside Out, Grandma Sylvia’s Funeral, Broadway Scandals of 1928, and regionally in Beyond Therapy, Fifth of July, Freedomland, Little Mahagony, Great White Hope, Women Who Steal (WHAT), concert versions of Two by Two, and Minnie’s Boys at Jewish Rep. Joanna’s film and TV work includes Sunburn, On the Cliffs (winner Best Short Comedy 2004, Ohio Ind. Film Festival) Saying Goodbye, Shannon, Archie Bunker’s Place, A Killing Affair, Cagney & Lacey, and the pilot Straight no Chaser as the inappropriate mother of Bronson Pinchot. KICK is based on her book, ASKING FOR IT. Director Lynne Taylor-Corbett was nominated for two Tony Awards and a Drama Desk Award for her direction and choreography of Broadway’s Swing! She also choreographed Chess and Titanic on Broadway. Off-Broadway she directed and choreographed Wanda’s World for which she won the Callaway Award and was nominated for a Lucille Lortel Award. Her production of My Vaudeville Man garnered a Drama Desk Award. Cougar the Musical, for which she was director and contributing writer, ran off-Broadway for almost two years and is licensed worldwide. She co-wrote and directed “Out of the Shadows,” the Good Housekeeping benefit for The National Women’s History Museum featuring Meryl Streep, Glenn Close and Jane Alexander at City Center. Her adaptation of The Lion King is in its seventh year at Disney Hong Kong. Her film choreography can be seen in the classic “Footloose”, “My Blue Heaven” and “Bewitched.” She directed “Real to Reel” a film-live action event developed in China and later presented at the Edinburgh Festival. She and special effects genius, Doug Trumbell, collaborated on a film shot for the Osaka World’s Fair which combines table top scenery and blue screen action. Ms. Taylor-Corbett has choreographed for numerous dance companies including American Ballet Theatre, Alvin Ailey American Dance Theatre and New York City Ballet, most notably “Seven Deadly Sins” starring Patti LuPone. Her work has been filmed for “Live From Lincoln Center” and “Great Performances”. This year she wrote and directed, “Hibari” in Tokyo, a homage to the Japanese icon, Hibari Misora. KICK has scenic design by Dean Taucher (“Law and Order, SVU”, “Miami Vice”, “Sopranos”), lighting by Brant Thomas Murray (Ping Chong + Company, Peridance Contemporary Dance Company, Bodiography Contemporary Ballet Company), sound design by Joachim Horsley (orchestrations/arrangements for John Legend’s “All of Me” Tour, has scored over 25 independent films) and costume design by Keili Camille Murray (Bodiography Contemporary Ballet, Asking For It at the Cherry Lane Theatre). General Manager is Robert Levinstein/22Q Entertainment. 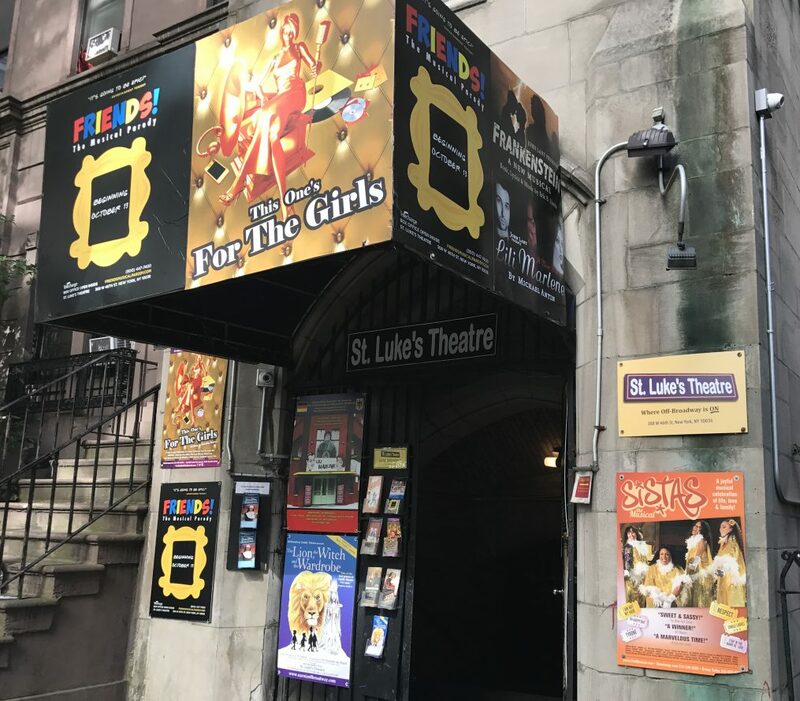 KICK opens Sunday, October 25th at 7 PM at St. Luke’s Theatre, 308 West 46th Street, NYC and continues an open-ended run, playing Sundays at 7 PM. For more info visit: http://www.KickThePlay.com. Opens Sunday, October 25th at 7 PM at St. Luke’s Theatre, 308 West 46th Street, west of 8th Avenue, NYC.